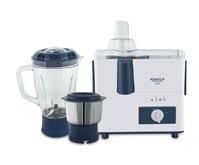 Juicing, mixing and grinding made so effective and easy! 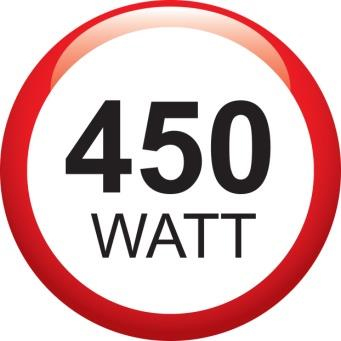 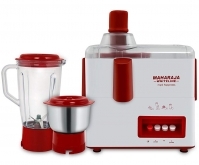 With a motor capacity of 550W, this JMG makes a perfect kitchen machine for all. 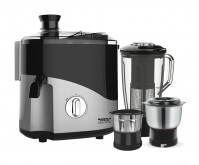 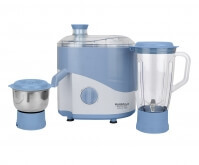 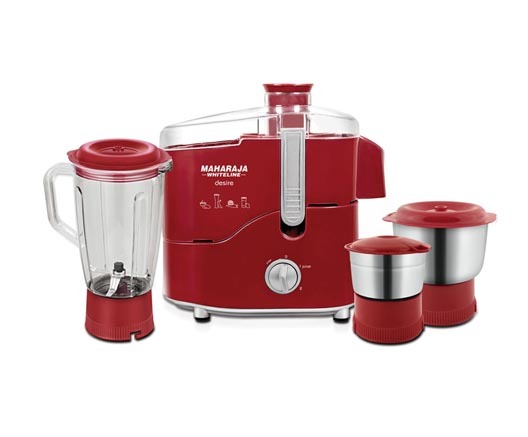 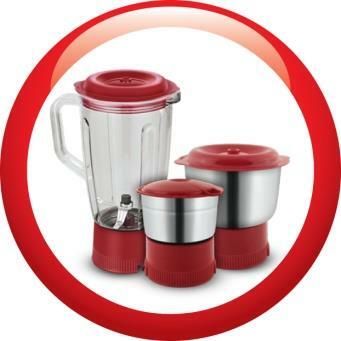 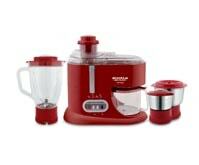 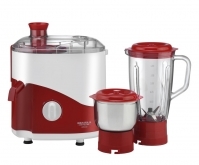 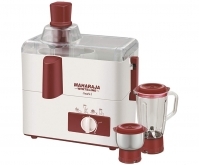 It efficiently churns juice, grinds and mixes preparatory ingredients to get desired results. 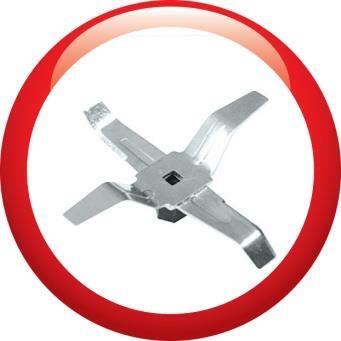 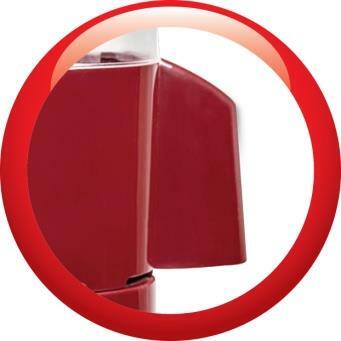 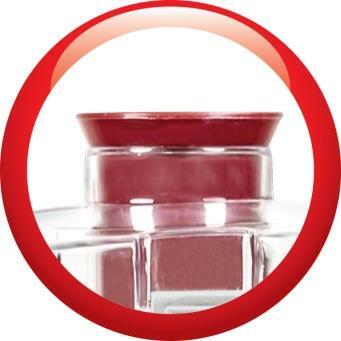 The spout cover prevents juice from splashing all over and the added layer on top ensures smooth, single stream flow. 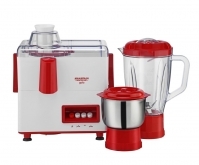 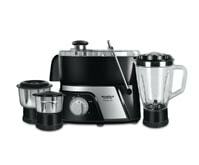 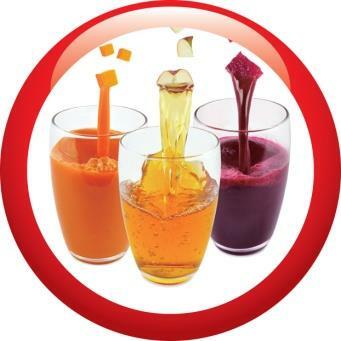 The juicer mesh is made of stainless steel, hence sturdy and durable. 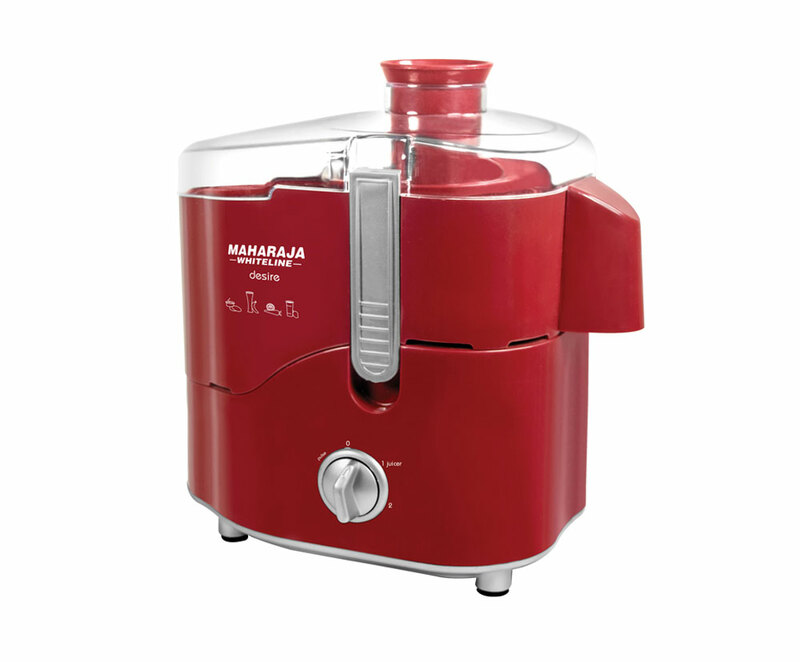 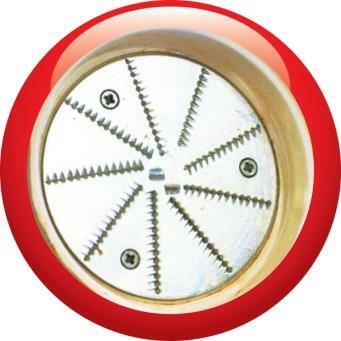 It has small, sharp serrated lines in the centre that efficiently separate pulp and seeds from the juice. 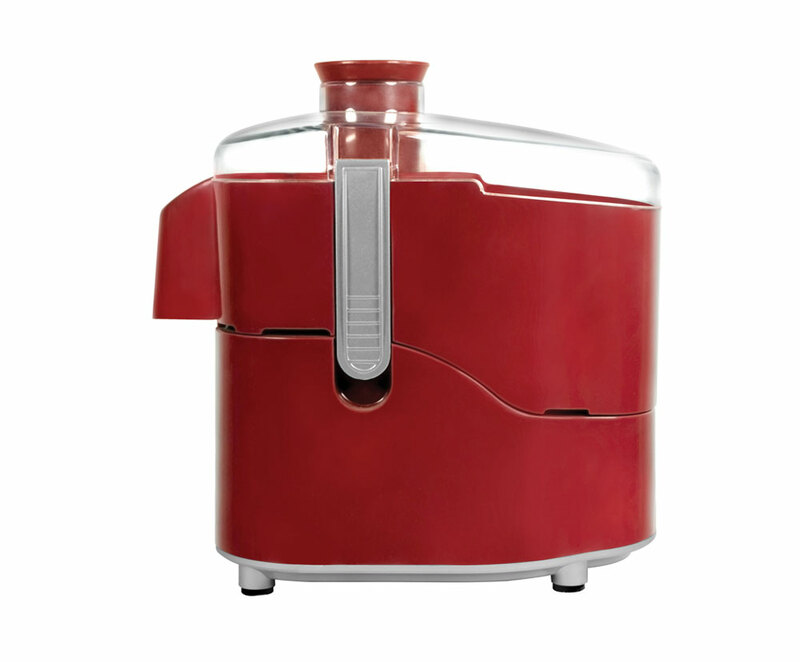 Designed to deliver nothing but the best, this juicer churns out maximum juice from fruits and vegetables. 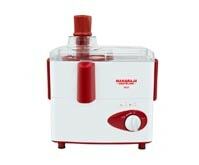 There are three versatile jars that come with this machine, measuring 1.5L, 0.7L and 0.3L. 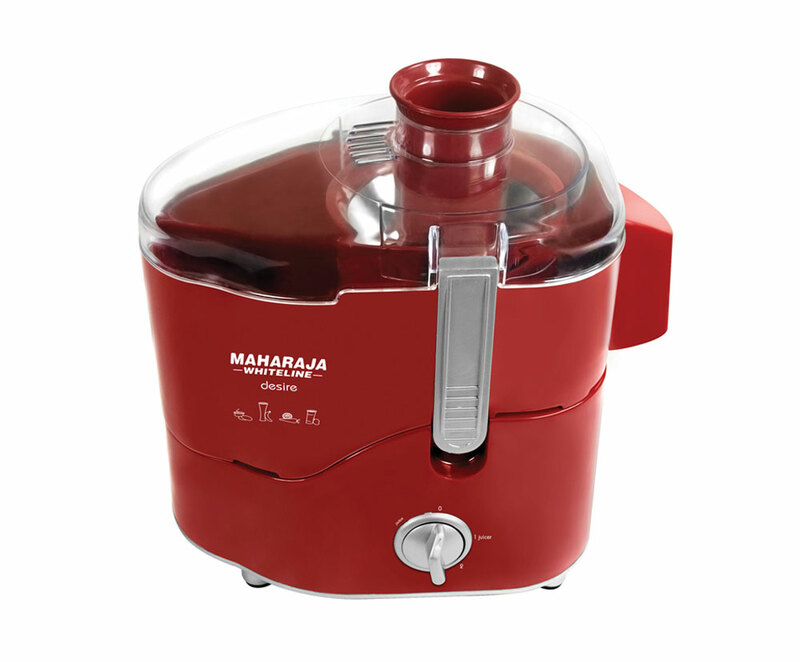 The biggest jar is for liquidisng, medium for grinding and smallest is the chutney jar. 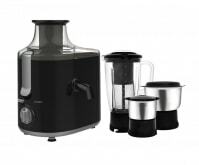 The blades fitted in jars are sharp and they easily cut through even hard food substances turning them into powder/paste. 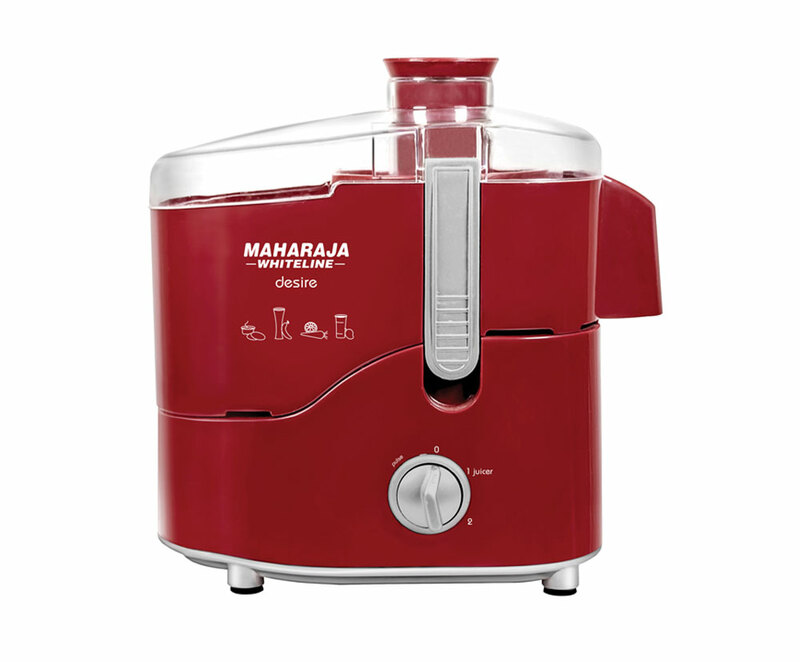 The large feeding tube eliminates hassles of chopping fruits and vegetables. 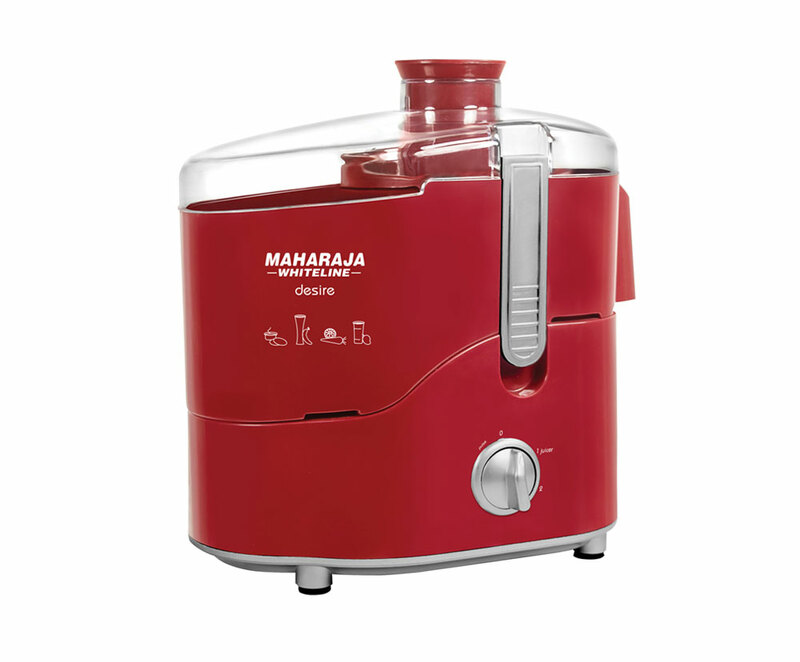 With this you can put big chunks of fruits for juicing.